Breakfast is considered by many to be the most important meal of the day and, at Milkwood Manor, we have to say – it’s our favourite! 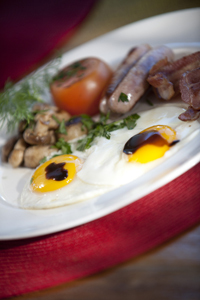 Our Milkwood Manor breakfasts are served in the Lemongrass Restaurant. Lemon Grass isn’t open to outside patrons for breakfast, ensuring that each guest at The Manor can enjoy the best tables, views and serenity with their breakfasts. 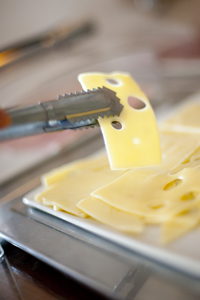 Our menu includes a buffet of fresh seasonal fruit, yoghurt and cereals, followed by a selection of cold meats and cheeses. 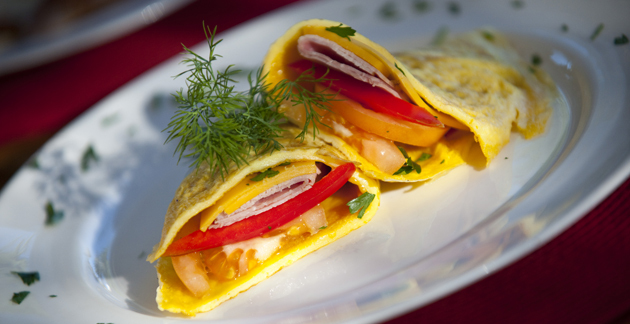 Our cooked breakfasts are a real treat and guests can order a full English breakfast complete with bacon, eggs, tomato, mushroom and sausage and/or one of our famous omelettes filled with a variety of delicious breakfast goodies. New to our breakfast menu, and a real treat, is the freshly baked bagels served with cream cheese and smoked salmon. All of this finished off with a fragrant coffee and fresh orange juice! 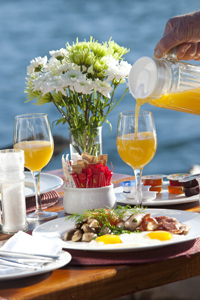 Whether you are visiting Milkwood Manor for a single night or several weeks, breakfast is the time to chat. Knowledgeable staff are always available to give helpful hints on activities and attractions and have a wealth of useful local knowledge. 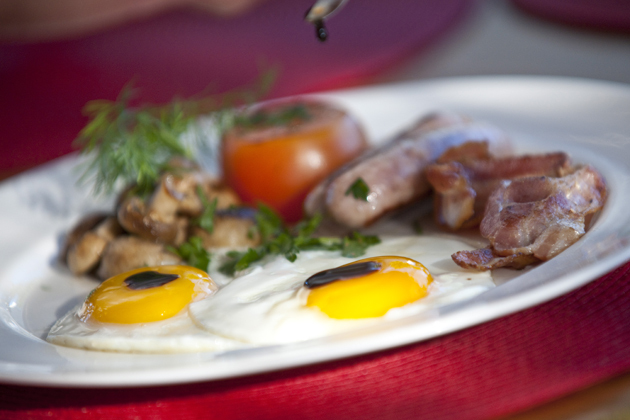 Breakfasts at Milkwood Manor are simply fabulous! Breakfast was a real treat – sitting in the bright sunshine on the patio, with the waves crashing on the adjacent beach. And, what a lovely breakfast we had. The room had a terrific view out to sea, overlooking the beach. We were delighted to have stayed in for dinner in their Lemongrass restaurant. Lovely meal and wine, and all reasonably priced. Finally, when we came out in the morning, one of the staff had washed all the guests cars. We really appreciated that touch, especially as ours was really filthy after visiting the Addo Elephant Park the previous day. 5 Responses to What’s for breakfast?